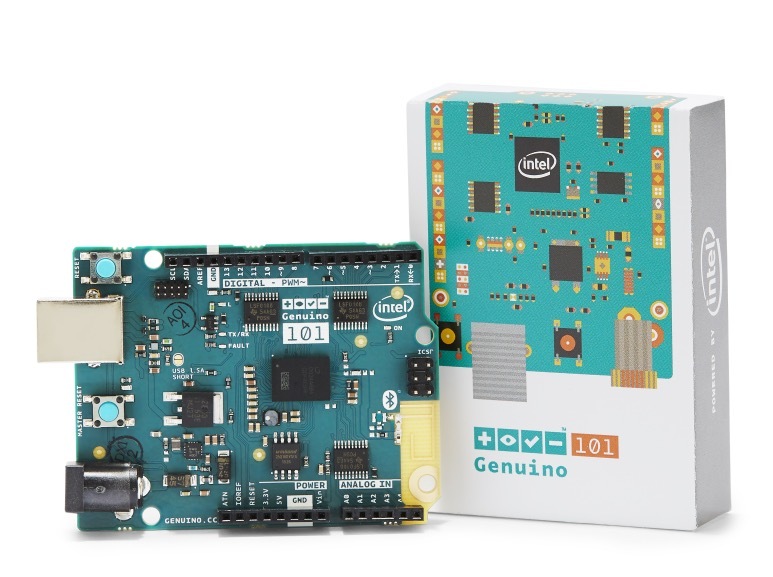 We’re very excited to announce that starting today Arduino 101* (USA only) and Genuino 101 (Outside USA) made in collaboration with Intel, are available for purchase exclusively on the Arduino Stores at the price of $30/€28,65 (+ tax). 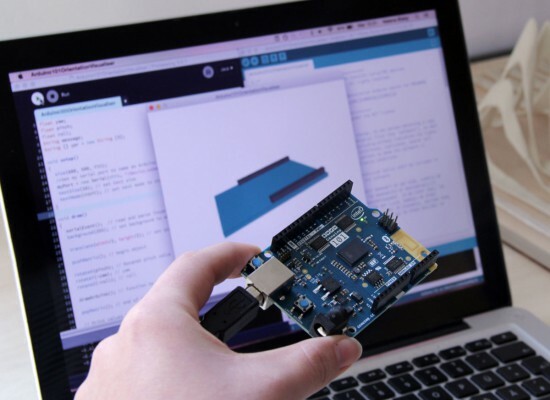 Arduino 101 and Genuino 101 are the ideal successor of the Uno featuring a 32-bit Intel® Quark™ microcontroller for minimal power consumption, 384 kB of flash memory, 80 kB of SRAM (24 kB available for sketches), an integrated DSP sensor hub, Bluetooth Low Energy radio, and 6-axis combo sensor with accelerometer and gyroscope. You’ll be able to create projects with great features like recognising gestures and controlling your phone over Bluetooth connectivity — all without needing additional hardware. We presented it and gave a preview during Maker Faire Rome 2015: watch Massimo Banzi and Josh Walden Senior Vice President of Intel Corporation introducing the board at the Faire in the video below. Like all our boards, Arduino 101 & Genuino 101 are supported by Arduino IDE starting with version 1.6.7, that we have just released. Check out the download page. IDE version 1.6.7 contains a revamped, faster and more compliant version of Arduino-builder (all the fixes are reported here), a lot of fixes to Board Manager and the serial plotter is now able to plot multiple signals at once. *Please note: Arduino 101 boards sold in USA are in pre-sell, we’ll ship them from December 28th onward. i have a doubt , after the running the program deluxe reaction timer..how to find out the total and average time ? plz help me through out this ?